We all know it’s dangerous for drivers to talk on a hand-held cell phone, but is it illegal? What about eating and drinking while driving? Or using a cell phone with a Bluetooth connection? You want to drive safely and legally, but Michigan’s distracted driving laws can be confusing. Here are some basic facts to clarify the current legislation and help drivers avoid risky behavior behind the wheel. According to the Michigan State Police Traffic Crash Reporting System, 20,115 motor vehicle crashes involved distracted driving in 2017. As a result of these accidents, 72 people died and 7,652 people were seriously injured. Furthermore, experts believe distracted driving was a factor in even more crashes than the statistics reflect. This is because it’s difficult to determine whether a driver was distracted in the aftermath of a serious accident. Any device, person or activity that takes a driver’s eyes, hands and/or mind off the road is considered a distraction. It takes the average brain 27 seconds to return to the original task after an interruption. On the highway, that is more than enough time for a serious crash to occur. Here are some examples of distracting activities. 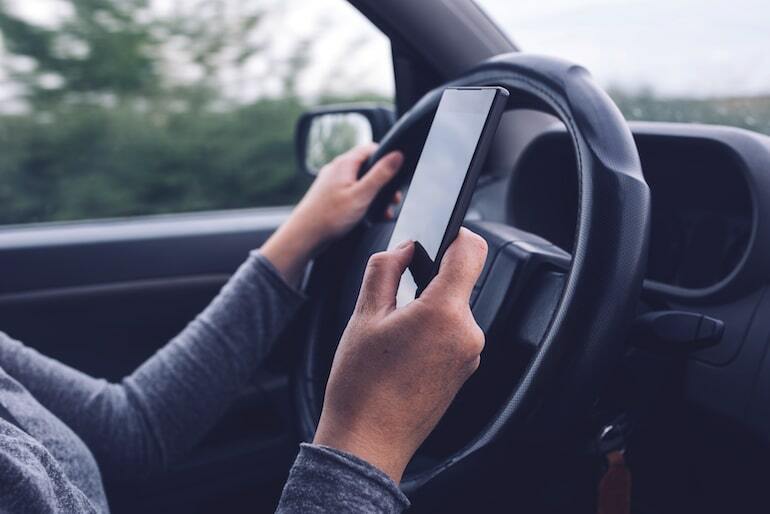 Keep in mind that any distraction is dangerous, even those that are not prohibited by Michigan distracted driving laws. What does Michigan law say about distracted driving and distracted driving laws? According to the law, reading, manually typing, or sending a text message while driving is prohibited. Penalties may include a $100 fine for the first offense and $200 for subsequent offenses. It is illegal for Level 1 and Level 2 license holders under the Graduated Driver Licensing program to use a cell phone while driving. This group typically includes drivers 17 and younger. Fines for violating this law may be as high as $240. In addition, school bus drivers and most commercial vehicle operators are prohibited from cell phone use while driving. Voice-operated systems that are integrated into the vehicle are allowed. Exceptions include using a phone to report accidents, crimes or serious road hazards. The same is true for medical emergencies or situations where personal safety is jeopardized. What about a driver who commits a traffic violation or causes an accident while using a cell phone? These drivers can be charged with careless driving or worse, depending on the circumstances. Also, some Michigan municipalities have enacted their own local ordinances that prohibit cell phone use while driving within their jurisdiction. Michigan traffic laws are complicated, but finding the right lawyer is simple. Call 1-800-CALL-SAM today for a free no-obligation consultation.